Of course tuition and living costs are also considered in your ROI. Your individual considerations will vary when it comes to funding your MBA, but it’s always good to note current estimated tuition for the year you plan to start the program, cost of living, and any anticipated scholarships or financial aid. Current estimated annual tuition rate for the Full-Time MBA is $49,534 for Texas residents and $54,924 for non-Texas residents. 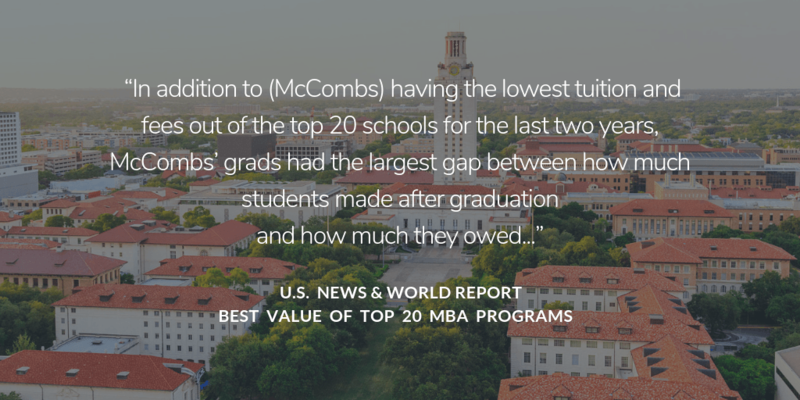 Texas McCombs MBA compares favorably against the national averages of $59,794 & $64,542, respectively, charged by other top 20 MBA programs at public universities. And the average annual tuition rate for private institutions in the top 10 is $70,085. 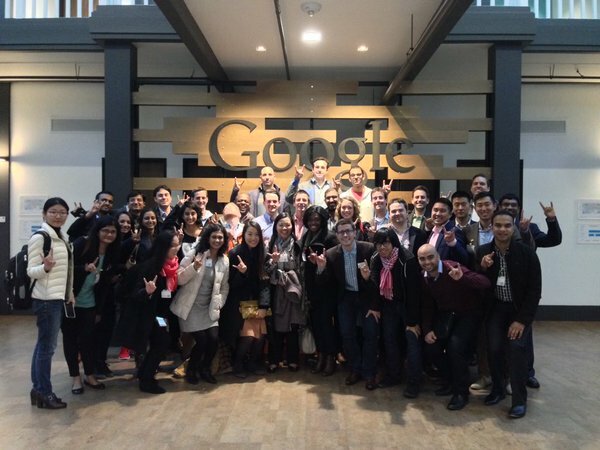 45% of admitted Texas McCombs Full-time MBA students received scholarship offers. 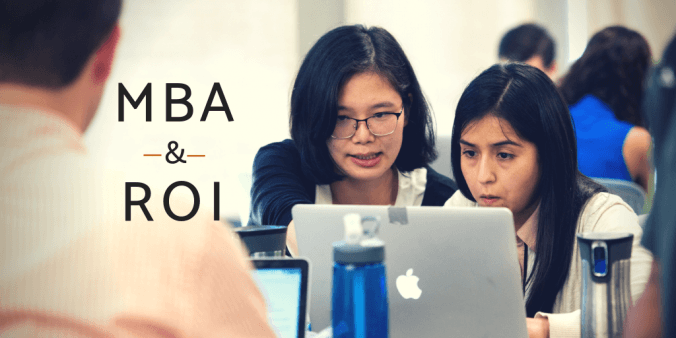 While most graduate programs narrow your subject matter expertise through extensive research activities on a specific topic, an MBA curriculum allows you to learn about a variety of industries and business functions resulting in increased flexibility in potential career paths. Texas McCombs is currently ranked in the top 3 for Business Analytics, Marketing and Accounting– we are consistently no. 1 for Accounting. The MBA also offers a new “Leading for Impact” curriculum component to provide focused individual assessment & leadership coaching within your MBA. The value of your graduate degree is measured in more than dollars and cents. If you have any questions about the opportunities offered at Texas McCombs or how your goals may fit with our program, please reach out to us. Hook ’em!